Swiss folk metallers ELUVEITIE are celebrating their tenth anniversary with the release of The Early Years collection on August 17th. The two-CD digipak bundle that consists of the band's sought-after debut album Spirit plus a completely re-recorded version of their very first EP Vên, which is currently being laid down together with producer Tommy Vetterli (CORONER, 60 CHAMBERS) in his Newsound Studio. 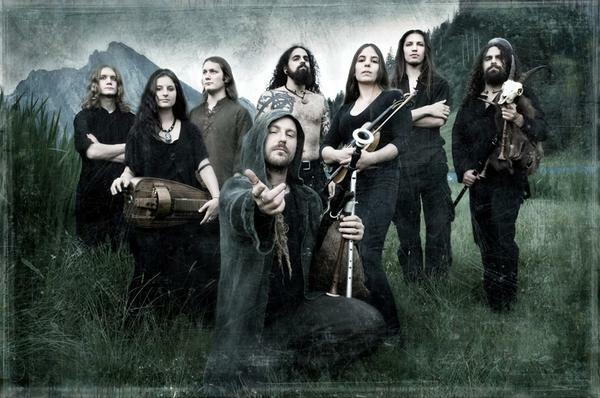 Frontman Chrigel Glanzmann states: "The Early Years will give both old and new fans access to the very first steps in Eluveitie’s history. I can't believe it’s been ten years already! Speaking of that, to celebrate our ten year anniversary (2002-2012) we wanted to offer you something special. Therefore we have decided to re-record the tracks of our first EP Vên! We had a lot of fun putting those songs on tape again – some of which we have been playing live to this day and that have developed together with us over all these years."